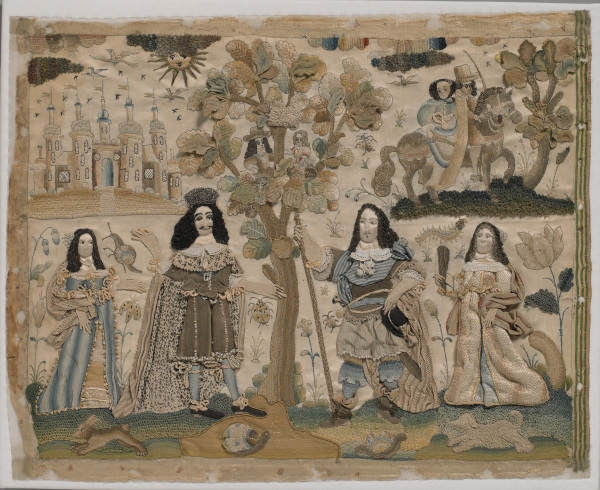 his crown, following his restoration to the throne in 1660, flanked by Queen Catherine of Braganza and courtiers. 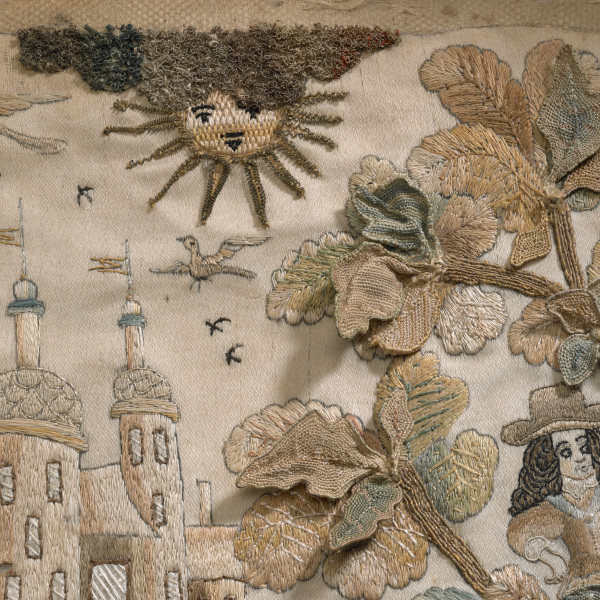 The Holburne Museum has a remarkable collection of embroidered pictures. 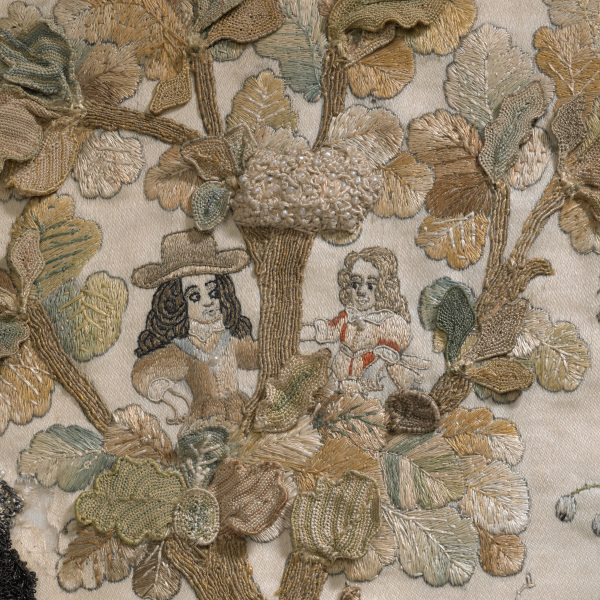 Most were made by young, highly skilled amateur needlewomen in wealthy households although a few may be the work of professional embroiderers, who were usually men. Many of the embroideries incorporate raised work (or stumpwork), the technique of embroidering over padding in high relief. Their enduring appeal comes from the combination of exceptional craftsmanship with the naive charm of designs which often include outsized animals, birds and insects.